Many people I know with hepatitis C use marijuana, so I am passing this along in case it comes up in your life. An acquaintance of mine was hospitalized recently. He’s in his 30s and healthy prior to this event. He couldn’t stop vomiting, and consequently became dehydrated. This wasn’t the first time this happened to him. His doctors couldn’t determine the cause, and tests revealed nothing. So he was diagnosed with irritable bowel syndrome, which in this case ended up being a trash can diagnosis. A trash can diagnosis means that if doctors can’t find anything, they may label you with the closest thing that describes your condition. Chronic fatigue is another trash can diagnosis. It’s vague, and although it may be true, it often stops healthcare providers from looking any further. The relentless vomiting happened again. This time, my friend told the doctor that taking long hot showers was the only thing that alleviated his symptoms. The savvy doctor had just read about a condition that might explain this, and asked my friend if he was a regular marijuana user. My friend was, and had been smoking for many, many years. Bingo. Now the diagnosis was cannabinoid hyperemesis syndrome (CHE). It is not a trash can diagnosis; it is real and curable. CHE sounds crazy, and if I didn’t know someone who had this and read about it in medical literature, I might have a hard time believing this really exists. Basically, it is a condition experienced by chronic marijuana users who develop symptoms like nausea, vomiting and abdominal pain, which are characteristically relieved by hot showers. The weird thing is that it can happen after many years of using weed. Seriously, I didn’t make this up. In a study published in Basic & Clinical Pharmacology & Toxicology, Joseph Habboushe and colleagues found that the condition is more common than previously thought. In a small New York City study, they found that nearly a third of people experienced CHE. Extrapolating the data to the general population could mean approximately 2.75 million Americans suffer from CHS annually. 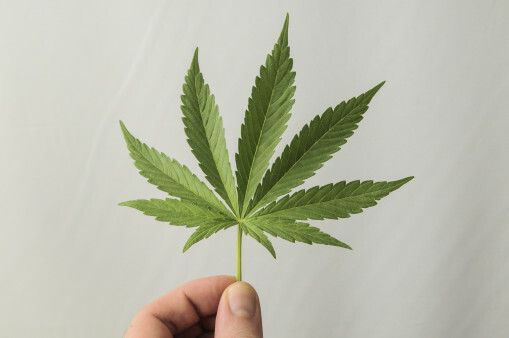 So, if you are a regular, long time marijuana user who imbibes 20 or more times a month, and you find yourself nauseous or vomiting a lot, with or without stomach pain, and a long, hot shower buys you some relief, and there is no other cause for your symptoms, you may want to consider CHE. The remedy is to stop using weed, which is counter intuitive since cannabis can alleviate nausea. However, it’s a simple way to see if you have CHE, and certainly worth a try. And yes, it solved my friend’s problem. Here is a link to more information about CHE.